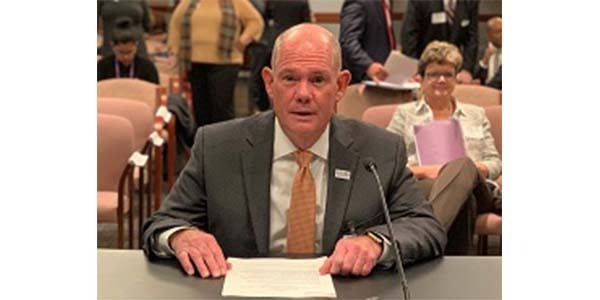 Auto Care Association President and CEO Bill Hanvey testified recently before the U.S. International Trade Commission (USITC) in Washington, D.C., on the likely economic impact of the United States-Mexico-Canada Agreement (USMCA). The USITC instituted the investigation last month in response to a request from U.S. Trade Representative Robert Lighthizer following the release of the USMCA text. The Auto Care Association said it plans to expand on these issues in its written comments due to the International Trade Commission in December. For more information, visit autocare.org/trade.